Keeping snack time real. 4 oz. Fancy shindigs call for fancy appetizers, right? 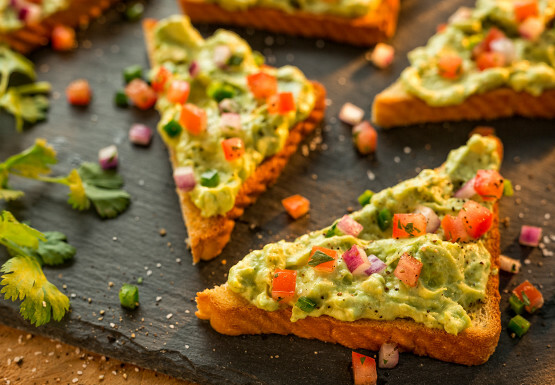 This Tex-Mex toast fits the bill, with a creamy avocado/sour cream spread that is perfectly balanced by spicy jalapeños and zesty lime juice. 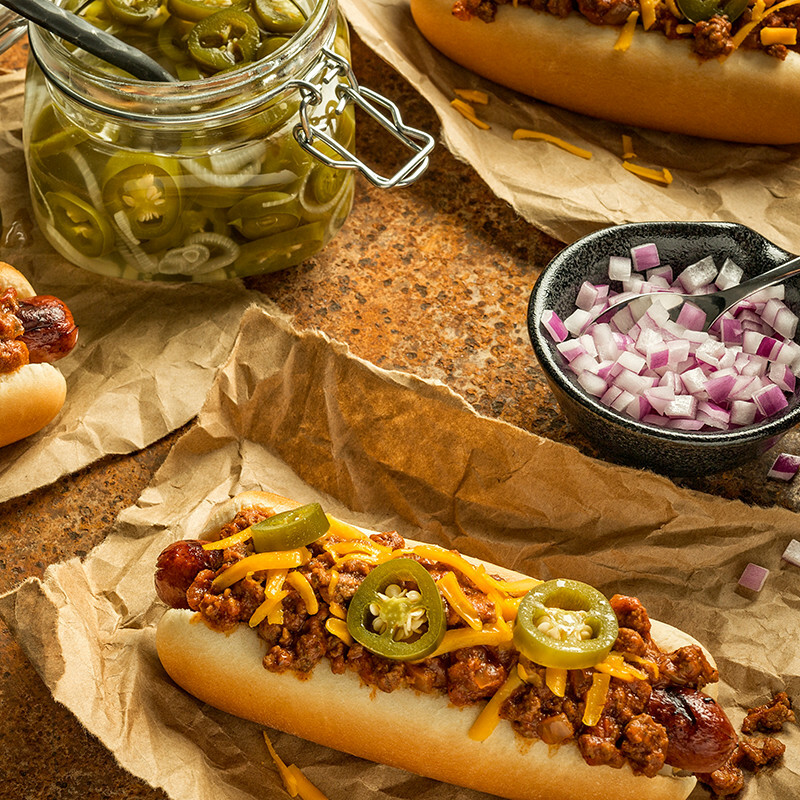 The only regional hot dog that matters, the Texas Chili Cheese Dog is an ooey-gooey masterpiece. Add some pickled jalapeños if you like it hot.